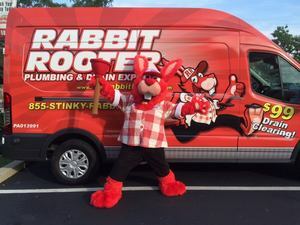 Introducing Lancaster Plumbing and Heating's NEW MASCOT - RABBIT ROOTER RED! Look for Red out and about in your area at the next big event! Red and his handy plunger will be promoting our Rabbit Rooter Sewer/Drain division! Rabbit Rooter Red is at your service for all of your sewer/drain cleaning needs. For more images of Rabbit Rooter Red please click here.